When you think of Italy, the River Po is probably not the first place that springs to mind. From Rome to Milan, there are some wonderful world cities for the discerning tourist to explore. But there’s also the road less travelled, and there are places off the beaten track that are just as beautiful, and just as Italian, if you know where to look. Stretching from Italy’s border with France, all the way to the Adriatic Sea, the River Po is an Italian jewel that’s often overlooked. It meanders through the Italian countryside, tracking a glistening route through the history of the country. Bordering Italy’s longest river, are rice fields, vineyards, cities and stories dating all the way back to the glory days of the Roman empire. For your next visit (or even your first trip) to Italy, here's the Avventure Bellisime guide to why you should see the River Po. There's a boulder at the source of the River Po, with the inscription 'Que Nasce il Po' (Here the Po is Born). Flowing over 400 miles of beautiful storied countryside, the River Po is dubbed Il Grande Fiume (the Great River) by locals. As the Po makes a turn towards the city of Turin, it skirts the Abbazia di Staffarda, one of Italy’s most beautiful abbeys. Founded in the 11th century by Cistercian monks, the cloister and chapter house are now a museum. The Po then continues eastwards, arriving in Turin, wider now and tamer than its rural origins. 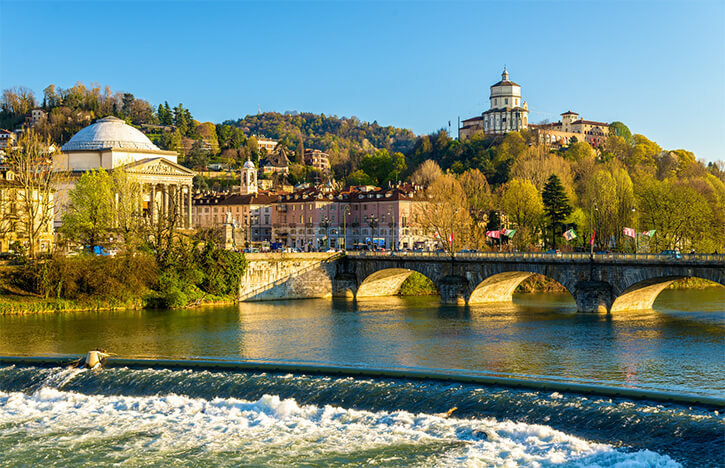 In Turin, the Po is traversed by beautiful bridges, and the river serves a recreational purpose with locals enjoying boating on its tranquil blue waters. Look out for the impressive Basilica of Superga on the crest of a hill near the city of Turin. It’s well worth making the trek up the hill to this 18th century Italian church. From the cupola atop the building, enjoy a breathtaking view over Turin and the River Po with the Alpine peaks as a sublime backdrop. 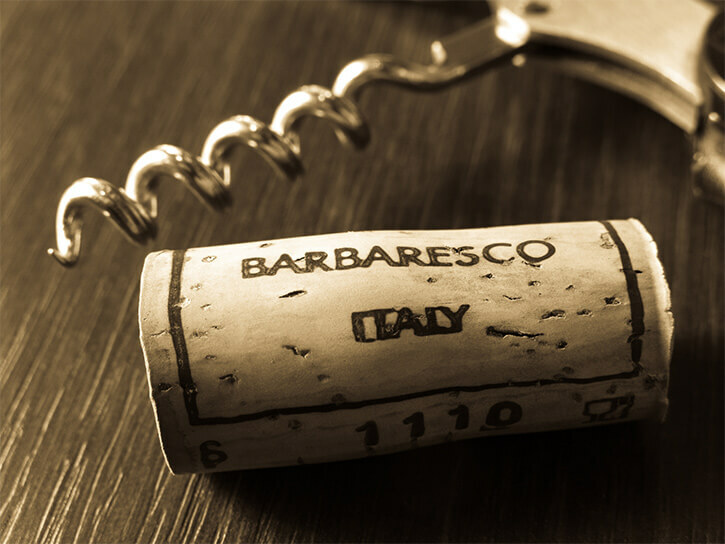 This being Italy, food and drink will always play an important part in your experience of the country. Fortunately, the River Po has much to offer in this respect. Its fertile banks are home to century-old recipes, and there are plenty of food festivals too. 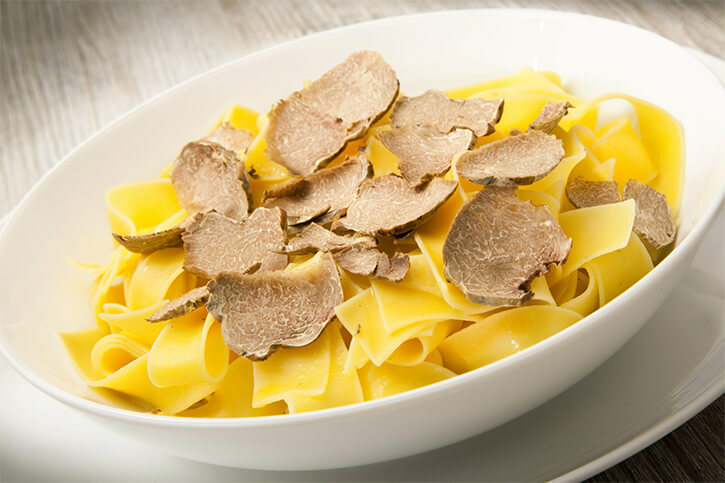 With each of the four regions that the Po passes through boasting their own food and wine trails, you certainly won’t go hungry! Sample Paradiso Cake, born in Pavia, feast on Nougat from Cremona, taste Matova’s pasta filled with pumpkin, and travel to the home of Truffle; Alba and Cuneo. And that’s but a taste of what this rich part of Italy has to offer. Continue along the Po, all the way to its Delta at the Adriatic Sea, and enjoy mussels and fish renowned the world over. To wash it all down, look out for some delicious locals wines; from Sangue di Guida, to Chardonnay and Pinot Grigio. In many instances, it’s possible to buy wine directly from the farmers themselves. From the cupola atop the Basilica Superga, to Turin’s elegant tree lined boulevards; from the sublime splendour of the Po valley, to the bird haunted Adriatic marshes to the south of Venice; the River Po tracks a journey across the north of Italy, revealing much about the country's past. The classical architecture, the wonderful people, the cities and towns, the rice fields and the fishing boats; the River Po let’s you see Italy through the eyes of the people who live there. So, when planning your next holiday consider a trip along the River Po. From its small beginnings in the peak of an Italian mountain, to the great river it becomes, the Po will take you on a journey through Italy’s history. The source of your next Italian adventure begins at the place where the Po is born! Here at Avventure Bellissime, we want to give you the best Italian experience you can have. Let’s start our next adventure together!